The recipient of Best Family Game at last year's Game Awards, Overcooked 2 yet again puts your teamwork skills to the test. You and up to three friends foray into a series of disaster kitchens to build your teamwork skills as you prepare meals. 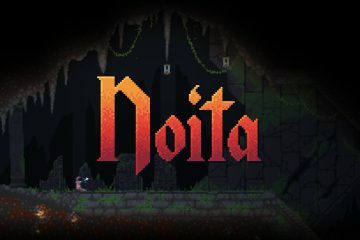 If you played the previous game, a lot remains unchanged, though new mechanics are explored to expand on what made the original so enjoyable. Like its predecessor, the greatest strength of Overcooked 2 is its accessibility. The game is incredibly simple to learn, so much so that even people who aren't intimately familiar with games could play it. 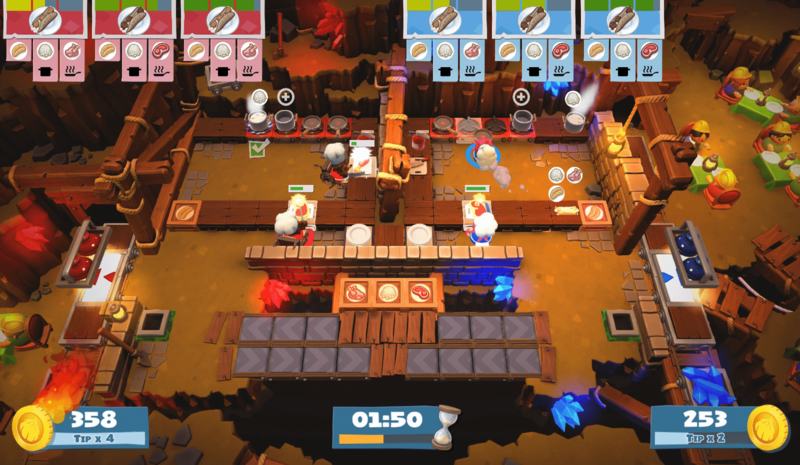 While this would be a detriment in other games, the ease at which Overcooked 2 can be explained to someone, as well as the simple control scheme makes it an excellent party game. Another common element between both games that still feels great is the dishes. In a number of stages, you'll have to clean dirty dishes before you can serve food on them. 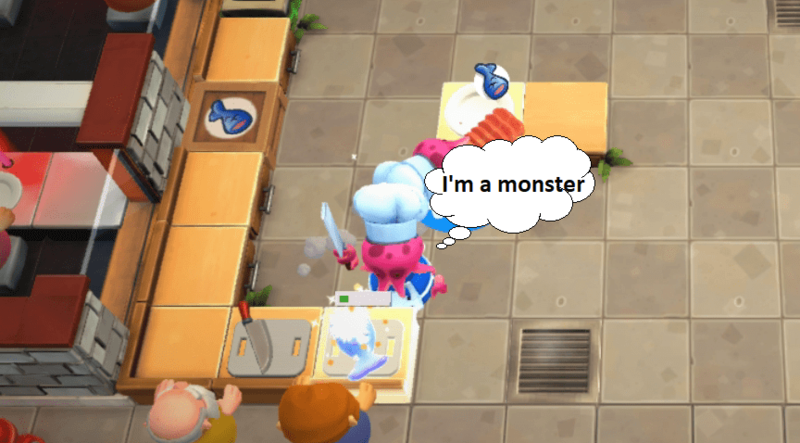 While most tasks in the game are fast, dishes are not. This can be a pain, especially if it happens in the heat of the moment, but a well-organized kitchen can easily stay on top of the dishes. The outcome is a mechanic that subtly encourages players to work together more effectively. The pacing of Overcooked 2 is also a strong element, even more so than the original game. Throughout the campaign, new ideas are introduced and iterated on to provide an increased level of challenge to players. Unlike the previous game, mechanics aren't relegated to a single world leading to many of the ideas being more fully realized in later levels. 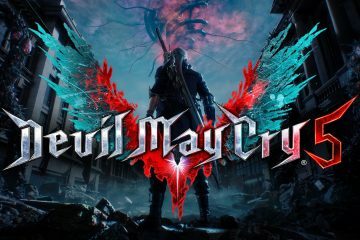 This change also aids in creating a smoother difficulty curve throughout the experience, preventing any abrupt difficulty spikes. The combination of these two components helps to anchor the pacing in Overcooked 2 keeping it engaging throughout. While a lot of what makes Overcooked 2 so good is owed to its predecessor, there is a new mechanic of throwing food which is excellent. What makes this so interesting is how many new teamwork opportunities open up as a result of it. 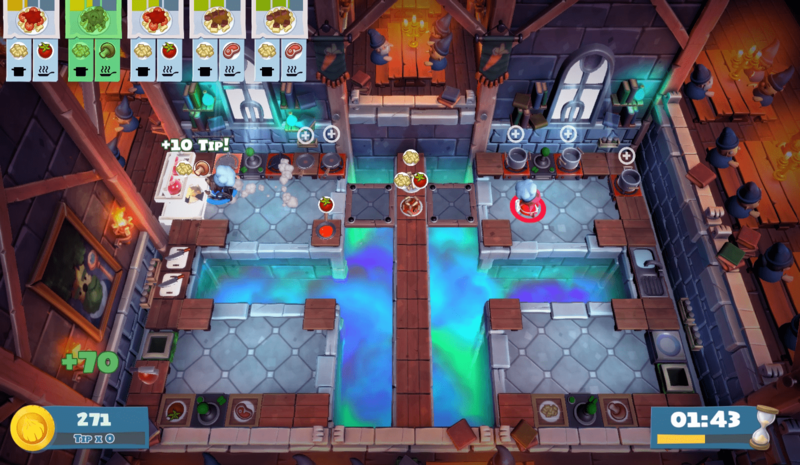 A well-aimed toss can allow the player who is preparing ingredients to transport them to a pan on the other side of the kitchen. This will begin cooking the ingredient, but more importantly, it will save time. Some levels are explicitly designed around the throwing mechanic, and mastering this mechanic is the key to achieving high scores on each stage. Overcooked 2 also has a lot of new skins. I like skins. This doesn't necessarily make the game more fun to play, but I liked unlocking them. The octopus is my favourite. There is a sad irony in having an octopus prepare sushi rolls. 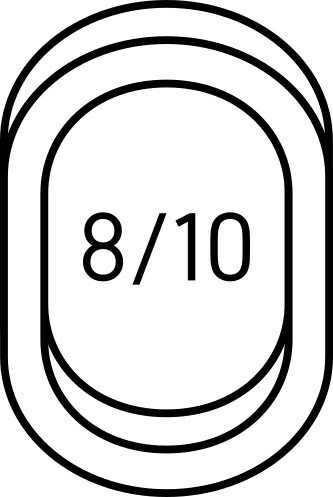 As with the previous game, Overcooked 2 has a versus mode, which is joined by an arcade mode. The versus mode lets players compete head-to-head to determine who is better. This can be done in two teams of two, or one-on-one where each person controls two characters by swapping between them. Arcade mode is similar to the main game campaign, where all chefs involved cook and deliver orders as a single team. This is an especially welcome addition as it allows for quicker drop-in co-op than selecting a level from the campaign. Things aren't perfect with the alternative game modes though. While the campaign features around fifty unique levels, the versus mode has comparatively fewer. Each of the campaign's main mechanics is featured, but none of the truly interesting levels are. This might come down to needing to design maps that don't require as much teamwork for a one-on-one versus mode but leave both modes feeling incomplete. It should have come across in the writing, but my biggest gripe with Overcooked 2 is how much of its identity is owed to the first game. While new mechanics and stage gimmicks were introduced, a lot of the elements that made the first game enjoyable are what form the core of Overcooked 2. The game almost feels more like an expansion on the original than a proper sequel. This doesn't make the game any less enjoyable, but may be a purchasing consideration for some given the price. 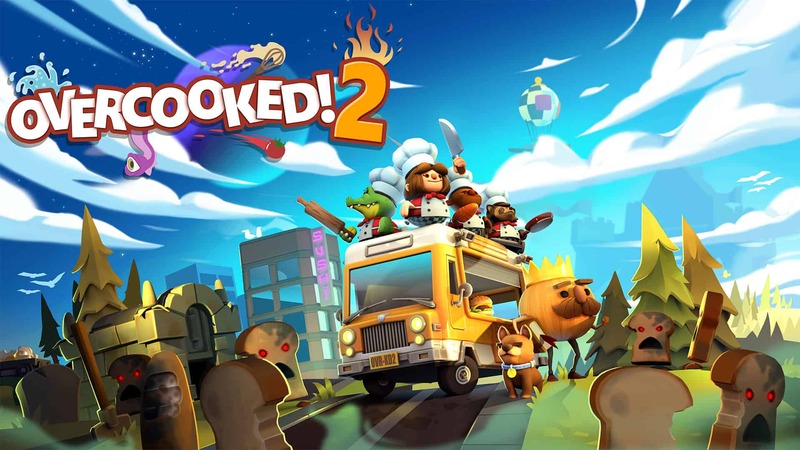 A fantastic co-op game, Overcooked 2 is an easy recommendation for those looking for a game to play with friends and family. 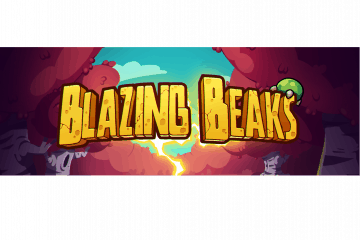 The pacing, mechanics that encourage cooperative behaviour, the addition of a much-needed arcade mode, and accessibility all make for a decidedly fun game. 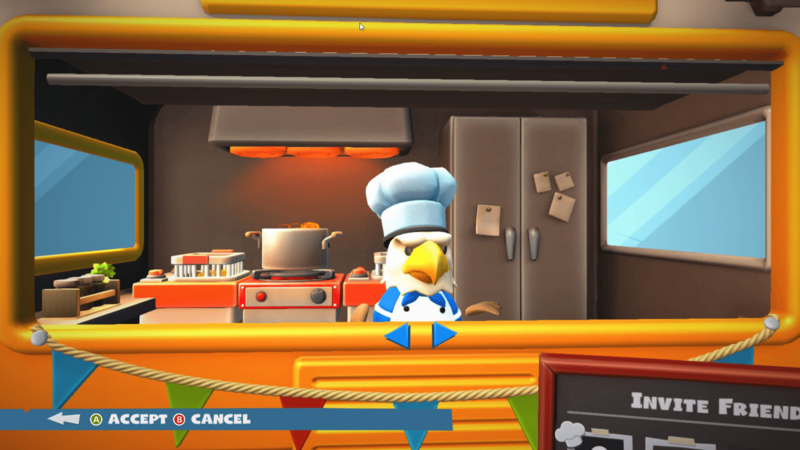 The lack of variety in the arcade and versus' mode stages is a bit disappointing, as is how much of the game's identity is owed to what came before it, but these are only minor misgivings in the face of what Overcooked 2 does well. Also, the skins are fabulous.